to be sure you will remember! before you know it, you’re back in a taxi pulling up outside your front gate. 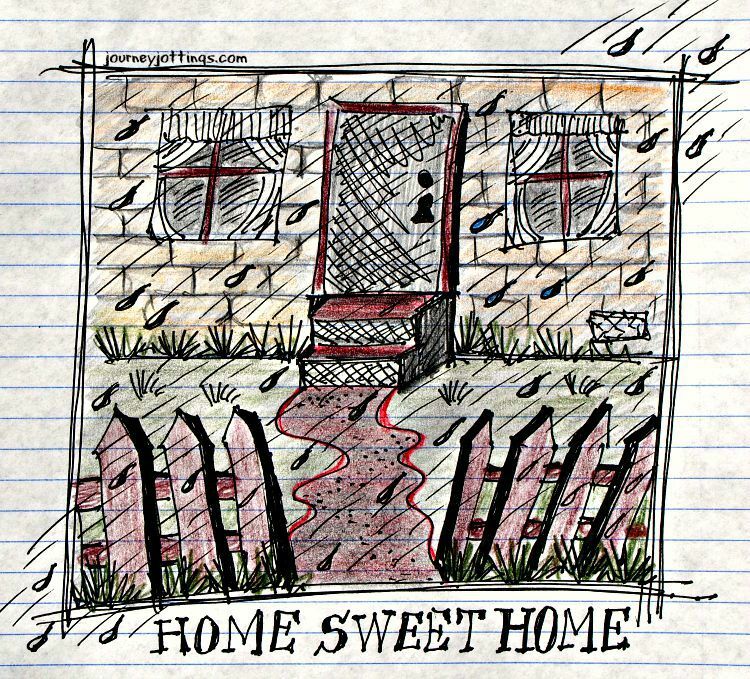 In the pouring rain you pile out onto the glistening pavement and haul your bag back up the garden path to the front door where you fumble for familiar keys, and the door slams behind you. Have you even been away? I often think how funny it is that we spend so long dreaming, planning and finally experiencing we focus little attention on the longest lasting part of the trip – potentially the rest of your life – on the travel memories. And in 5 years? Where was it you went?! And sadly, if some form of action isn’t taken, it is the one thing all travellers will ultimately forget. But, who wants to give up precious holiday time to do something that has no dopamine hit in sight for another how ever many years? As I pulled out the concertina pages, it was such a blast to be suddenly ziplining my way through the snowy Canadian pine forests and skiing the Whistler-Blackcomb slopes from the top of 7th Heaven ski lift – I have to say playing with a few coloured pencils at odd moments while I was away was really not that much of a hardship, and well – my first dopamine hit had just kicked in! And hopefully after reading this, neither will it be yours. As Woody Allen said – “Eighty percent of success is showing up” – so as soon as possible after leaving home – once through airport security is ideal – break the ice and make your first mark. Do not have any high-falutin aspirations, which could either deter you from showing up at all, or set the bar too high making you feel you can’t keep it up. 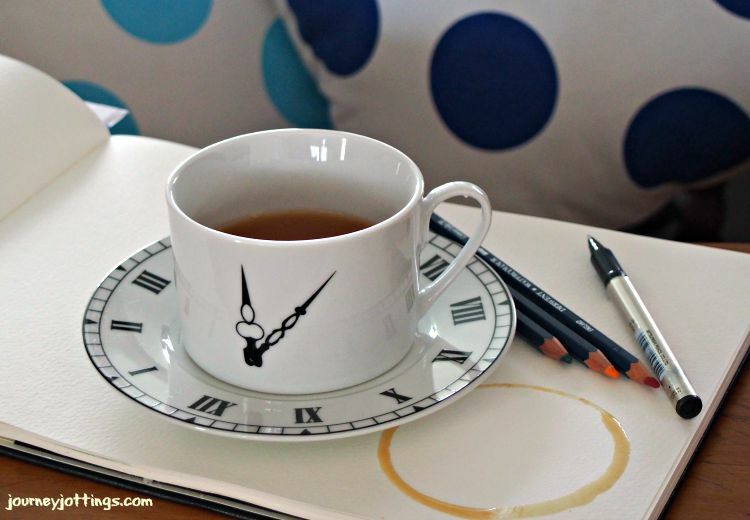 Buy yourself a drink, and as you relax back in your seat to take in your first taste of holidays, use the bottom of your beverage of choice to make a coffee ring, a wine stain, whatever – to mark the page of your travel notebook. Hey Presto – Your adventure has begun and your first holiday memory has been recorded. This may even set the trend – a holiday recounted in a trail of beverage marks taken at the bevy of cafés and bars frequented along the way. There is interesting evidence that indicates that blindly snapping away and relying on your camera to record the sights makes you remember less of that scene – Convinced you have safely secured the shot for posterity, your brain fails to be fully present in the moment and you miss out on making that all important emotional connection. But photos are so easy, I hear you say and if not photos, what then? Be a rebel and consider throwing your school learnt ways out of the window and have a go at story-mapping. What better way to get your grey matter sparking and those cherished memories highlighted… forever. Have you ever re-discovered a pressed flower in a book, which the moment it’s touched transposes you back in full technicolour glory, to that meadow where it was picked? There were no words with it, no lengthy descriptions, no photographs – Just a single tactile object re-connecting you to a moment in time otherwise forgotten. It is not the big picture descriptions that create the best memory joggers, but rather the details you’ve focussed on within the frame. On my last holiday to Scotland, I was coming from Australia where most trees are eucalypts, which remain covered in silvery green leaves all year round – I was therefore totally captivated by the variety of woodland trees there. Rather than record my walks through the woods in general terms I focused on details that caught my eye – Such as the lichen growing on bare wintry branches, the first of the catkins struggling against the cold hoping for spring, and the last remaining rusty red autumn leaves hanging on to sculptural ancient oak trees. 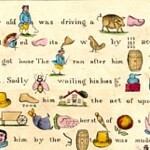 It is from these vignettes that the whole picture comes vividly back to life. While my first tip stressed the importance to start, my third tip is stressing the importance that you stop (at least once each day) to be truly present in the moment while you soak up and consciously connect to the smallest of details in your foreign surrounds. Emotional connections are the best of memory joggers. How do you ensure you remember the highlights of your holiday? This entry was posted in Travel Memories and tagged memories, story map, top travel tips, travel tips by Linda. Bookmark the permalink. Beautiful Linda. I love how you collate all the 5 senses into your travel memories. 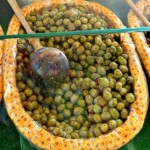 How evocative would the smell of roasting chestnuts be, and yet how hard to tell with a photo. 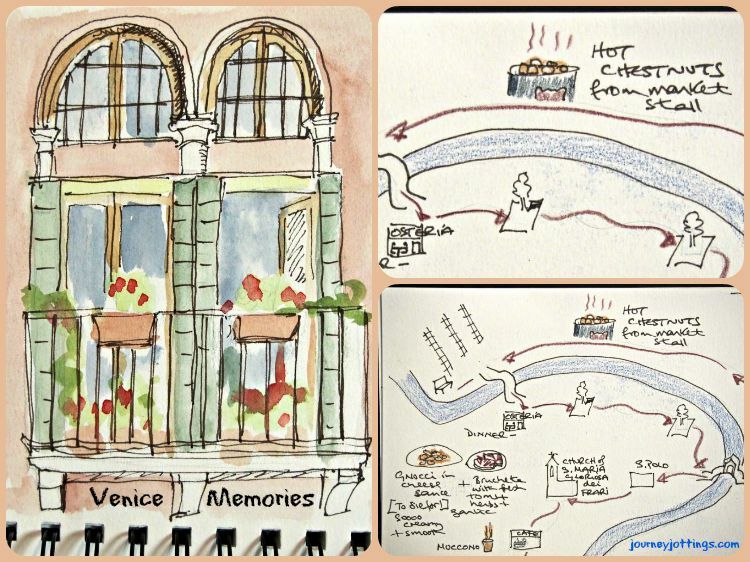 Your gorgeous travel doodles (so much more than doodles) are like memory boxes stuffed full of sensory impact. Thank you for your lovely comment Jo! Such a fantastic post – you are very skilled! A very good point about snapping away with the camera, put it down and take in the scene for a minute! With cameras on phones as well as ‘real’ cameras we have become dependant to our detriment! A truly thoughtful presentation for recording highlights of our trips! The visual can evoke moments of pleasure, I especially like the watermarking idea with a beverage of your choice! Yes, a few squiggles with a pen can be far more evocative than a laboured paragraph of words, which at their best can only ever be a first draft, which as bloggers – we all know how they read! Totally loved the suggestion of the sketches. Now I just have to get over my fear of being artistically so totally NOT talented. I blame school on giving us this totally incorrect view of ourselves not being ‘talented’ by forcing us to submit all assignments once in high school only in words! Linda, I was just thinking about your blog as I was putting photos on a post I had written (yes, I confess, I am the shutter-bug traveler) but I was thinking back to the cruise I had been writing about and one of the passengers on the ship who was never without her journal (a rather massive thing, but charming all the same) and we shared an experience in Oman so I watched her sketching as well as ‘jotting’ about her sketch while I photographed along side her. Her notes were charming and fun. I told her about your blog and encouraged her to become a regular here – I hope she has found you and your delightful posts of inspiration! I’m so touched that you thought of me while sailing the high seas! Keep sending your Journey Jottings out please. Hello Linda, On August bank holiday we have booked a mystery coach trip we just love these we either go to Scotland Yorkshire Dales or round the Lake District, then in October 5 days in Bournmouth i have never been there. Earlier this year in April we went to Cardiff, June to Torquay in Devon the weather was hot, we had a sail round Hoe and Sound Plymouth, last year we went to Cornwall to Newquay lots of surfing schools, but a very hilly place i went to see the donkey sanctury it was oh so wonderful seeing the donkeys, the Eden Project that is a nature reserve that was when my camera got steamed up with the humidity the reserve was growing bananas i missed out with not taking a picture. How wonderful to be seeing so much of Great Britain in manageable chunks! What a rip-roaring post! I can’t wait until you offer a journaling workshop for us. I LOVE how you turned the humble coffee ring into an evocative travel memory. That might be manageable even for someone like me who can’t draw to save my life 🙂 It’s all about getting creative with it. You’re so right about thinking outside of the box when it comes to quick and simple ways and means of recording journeys other than long convoluted methods that no one in their right mind would want to be involved with – particularly when kicking back on holiday! Hahaha, I can SO relate to the vision of the happy snapper memory catcher! 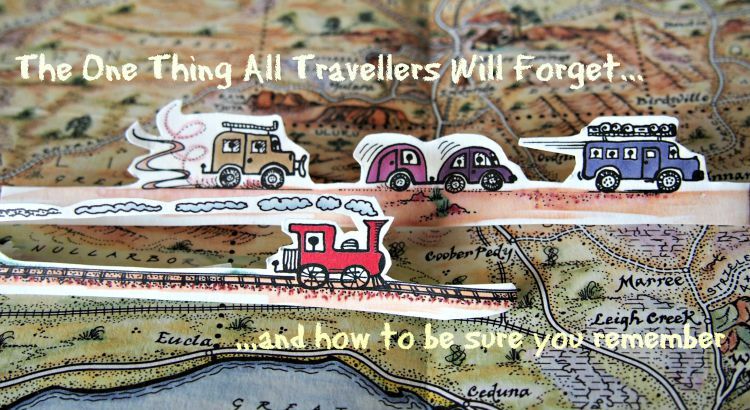 Of course I use your fabulous maps and other products; and we collect travel brochures and leaflets – but I also use my blog as a way of recording the memories! I would never describe myself as ‘artistic’ or ‘creative’ (and neither would anyone who knows me), but while I’m writing a blog post I channel the memories (prompted by photos, journal and info brochures) to create a sense of place and how it felt for me when I visited there so other people might be inspired to visit. I hope it works!! Red Nomad OZ recently posted..16 RED HOT Go-To Blogs for Australian Travel Inspiration! When my kids were younger, I used to get them a scrapbook before holidays and each of these I still have. They have so many memories that they had, as well as drawings, a leaf here or there. They are so beautiful to read now. That’s the thing, the best journal entries – aka dopamine hits – kick in years later! What a lovely way to remember. Some of us have no knack for drawing, so we find writing about our experiences does wonders for our ability to recall our adventures. As long as you follow tip #1 to Start – and tip #3 to Stop to take in and notice the foreign details, your preference for how you record it all comes down to whether you are – as in your case Aural, Visual (as in my case) or Kinaesthetic (where you respond and express yourself physically)! 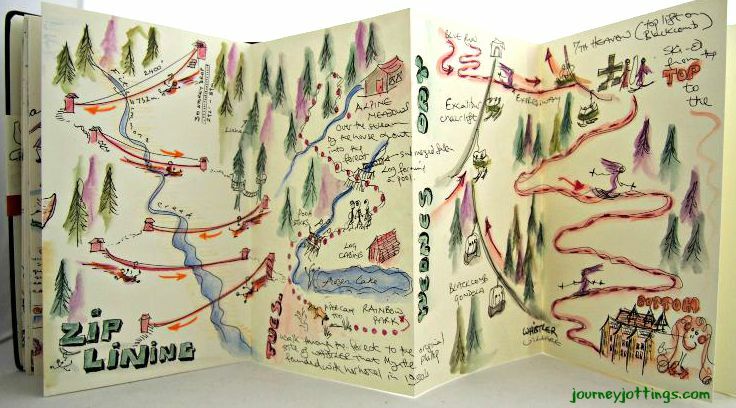 I’ve not tried a story map yet, but will on my next trip. It’s so true about forgetting things. I’ve kept journals in past trips and added sentences and paragraphs to my photo albums. That helps brings back a lot of good memories. What a great idea! I always carry a small notebook around to jot down whatever I’m afraid I’ll forget, and sometimes it’ll include a drawing, but mostly it’s words. My notes help me write blog posts later. It never occurred to me, though, to focus on drawings and make them a memento themselves rather than a means to an end (a blog post). I think I’ll try this next trip! Gorgeous post. Love the graphics and prose. Starting is surely the best way! I often include sketches and doodles as part of my note-taking. Even when my pieces are completed and posted or submitted, I still always keep the original notes. They are nearly always more accurate and memory-inducing. I am always so inspired when I visit your blog Linda. A journal always comes with me, sometimes it gets more action then others, but I am always so happy when I make the extra effort to jot down notes and sketches. Such a wonderful way to revisit a trip sometime in the future. The research re the snap happy camera/not remembering so well scenario was reversed when the camera person took the time to zoom in to take a conscious closer look at the subject before snapping! As you know, Linda, I’m a BIG fan of your work, I love your artistic style – it’s such a good match for me. And you’re so right when you say it’s in the details. Abi and I walked the Camino de Santiago in March/April and between us I’m sure we took at least 1,000 photos trying to take it all in. For this I am grateful because the days walking tend to just blur into one l-o-n-g day and without the pictures and our blog postings, I wouldn’t remember 1/2 of the experience. I wish though that I had taken the time each day to jot down what I was thinking at the moment. It would have served to enrich my memories. Incorporating the act of recording into your trip – or in your case your walk – does require a concious effort beyond, as you say, merely happy snapping! That act of stopping, to be truly present and mindful of your foreign surrounds, breathing in the experience through all of your senses and then as you say taking that time to notate, sketch or doodle some of those sensations while they’re fresh does indeed enrich the memories as well as the moment! Such a great idea! You think you will recall these memories of incredible holidays for years to come but it doesn;t work this way. We are headed to Whistler later this year – yay! – and I am so stealing this idea. I was in Whistler earlier this year and have a fun post coming up about what to do in Whistler if you’re not into snow sports! Hi LInda, I really enjoyed reading your post today and your ways of recording memories of your holidays. I take photos, and I have just started compiling photo books of our travels. But I do like your doodling books with coffee cup stains and little maps and notations. What a wonderful way to be taken back on a journey. I do agree that I don’t always stop and absorb the moments. Happy travels. I enjoyed meeting you today on Jo’s Lifestyle Fifty FaceBook link up page. Although the most important thing is to simply Start! I love this post. I’m a big believer in there being three stages to travel happiness – and the third of those stages is the reflecting and reminiscing on the experience…which can go on for years after the travel itself is finished. I totally LOVE the idea of a beverage ring journal – that’s one I’m going to try on my next trip – a ring on each page with the details of where/when/why/how. I may even try for a few drawings too! 🙂 I’ll report back with the results! Fairlie recently posted..Purikura photo booths in Japan. Crazy, quirky fun! Memory keeping has to be simple or it simply ‘ain’t going to happen! I agree with you Fairlie. Reflecting and reminiscing on the experience really could go long after the travel is finished. I adore this post, not just because of your wonderful drawings but because it so true. A lot of travellers only have what I call a ‘tourist experience’ when they travel to a new destination. They only see the main touristy area of a place, don’t engage with the locals, don’t try the local cuisine or get off the beaten track. They simply snap and leave. I always write a travel diary (because I simply cannot draw) and I always like to walk a city or place and immerse myself in the culture and feel part of the destination. I always feel a twinge of sadness when I hear people say “I simply cannot draw” as I’m sure when they were in kindergarten they never believed (or said) that and at the same time would have produced stunning stick figures of family members, full of expression that everyone around them adored! 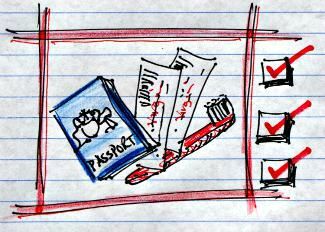 I love that you write a travel diary – Have you ever thought of incorporating a few pictograms? Whenever I read one of your posts and see those beautiful story maps I vow to try to draw my memories with pictures rather than words. Definitely a must-try for my next trip. Istanbul! Since most people haven’t tried to draw their impressions since kindergarten its often a question of taking baby steps (pun intended!). I’ve commented before, but now read it again! 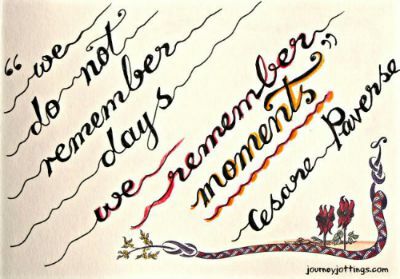 I love the quote “We do not remember days, we remember moments!” So true. Great ideas Linda. On our trip to Europe earlier this year, the hubster kept a journal and of course we took heaps of photos. But I know exactly what you mean – already one city is blurring into another and I am finding it hard to remember just what we did where. While you’re there in Europe having fun it feels like such a pointless exercise – how could you possibly e-v-e-r forget any of this? But… as you say – memories do fade! I always feel I get more from our holidays than my husband. Oh he enjoys them certainly, but when I blog about them it cements them in my mind. I ask him, do you remember when…. And usually it takes a while for him to remember. I do make notes as I go but I have been in a situation where I’ve taken a lot of photos and later can’t remember what I thought about them at the time.